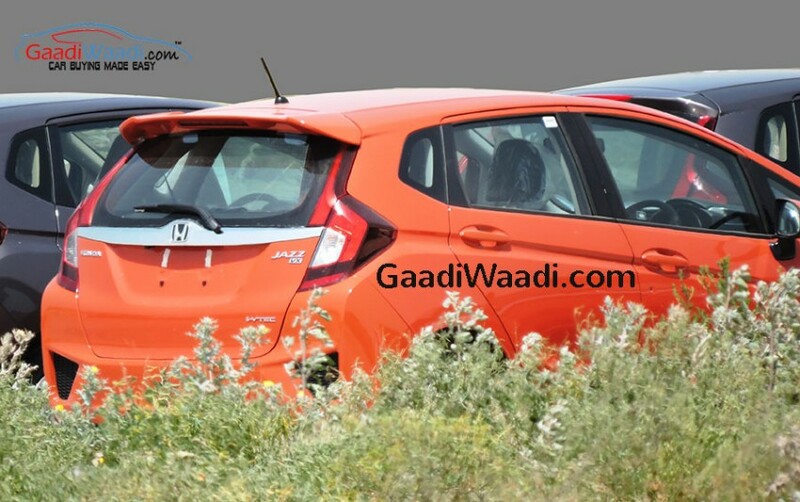 We recently confirmed the news on Honda that, 2015 Honda Jazz was teased at Honda India Website and their official YouTube channel. 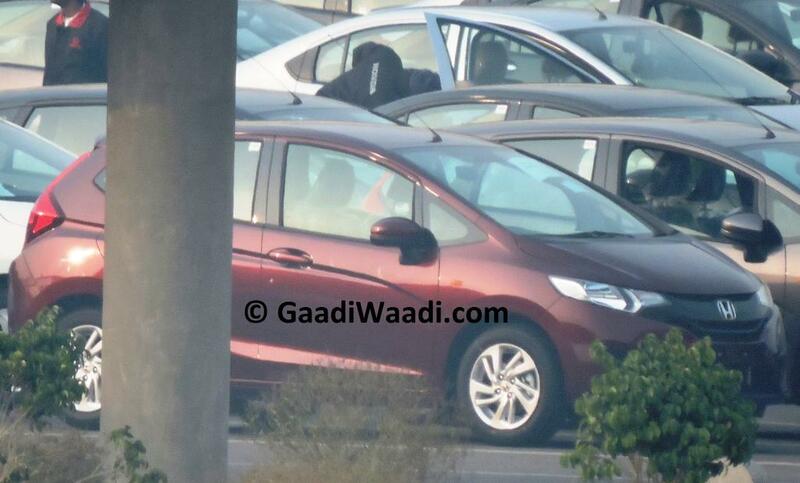 We now have fresh spied images of 2015 Honda Jazz which is seen at the company’s stock yard. The teaser video has crossed 1 lakh mark which registers the #AllNewJazz as desirable quotient at the mind. 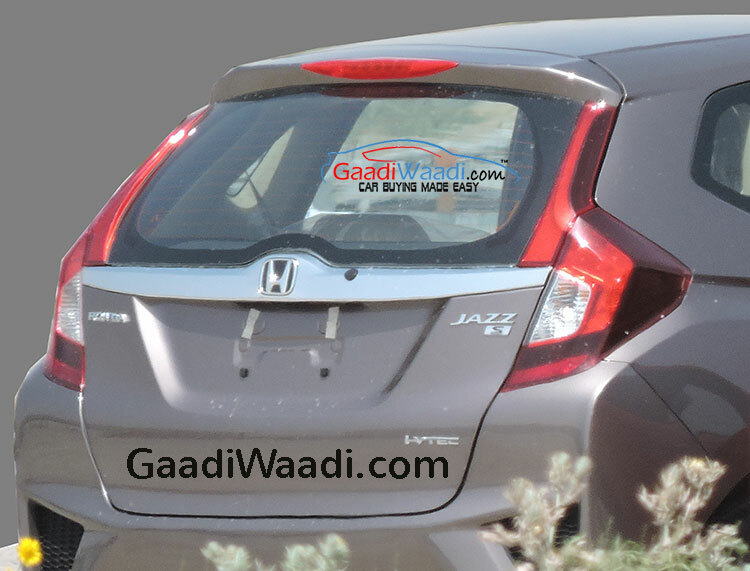 Its different, its real the 2015 Honda Jazz is in India. The all new Jazz is a subcompact hatchback offered by the Japanese car maker Honda. The Jazz will be placed above the Brio and Amaze line-up. The Jazz packs a generous interior, a dynamic engine and equipments seen on any premium car from the company. 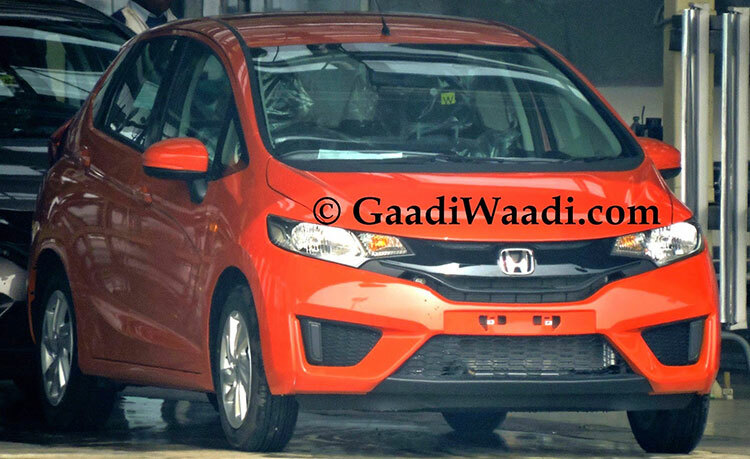 As we said earlier the 2015 Honda Jazz will feature a new body unit sourced from typical Honda’s Civic inspired front fascia, sports a split fog light compartment, new chrome grill with brand logo sitting right in the middle of it, the hatchback also looks taller and promising than its predecessor. The new-generation Honda Jazz will get a 1.2 and 1.5-litre i-VTEC petrol mill. 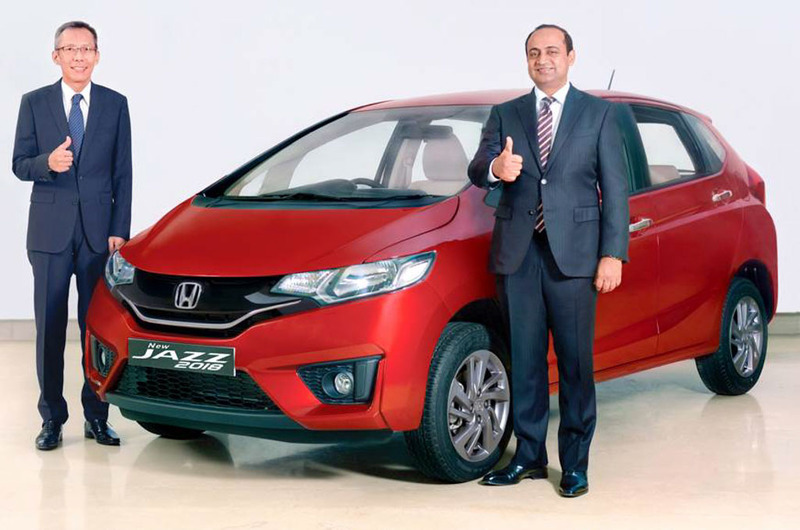 Jazz diesel is likely to get the same 1.5-litre i-DTEC engine which is currently powered in Honda City & Mobilio. 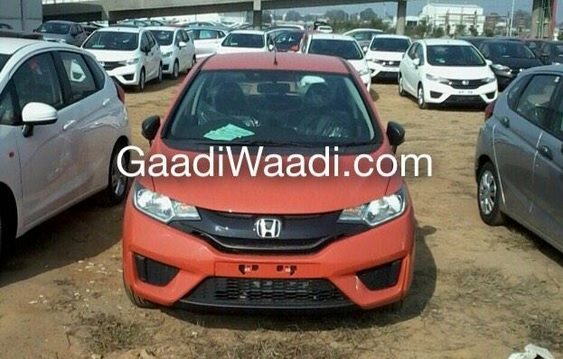 To be honest, the 2015 Honda Jazz wears a new look which is a definite plus for the model, unlike the previous generation which did not make any impact on the sales for Honda neither made anybody smile, it wore a bad look. The 2015 Honda Jazz seems much bigger in size than its earlier version. However, it only looks like that. Due to the reduction of glass usage in the new Jazz, it visually looks bigger, while it’s actually not. It’s the same height, 1.6 inches shorter, and just 0.3 inch wider. The all new Jazz will offer a spacious cabin with touch of premium gadgets to its credit. We believe options seem to be sourced from the new City, however will be tweaked for perfection on the new Jazz. The steering wheel will be a three-spoke multi-function unit enabling ergonomics to the driver and two-analogue gauges with LCD to display cars details. Few other notable options available are 7” central touch screen infotainment system with the navigation, radio, phone functions and Honda App Centre. The 2015 Honda Jazz sources power from a 1.2 and 1.5-litre i-VTEC petrol engine, where the 1.2-Litre 4-cylinder mill makes 90PS and 110Nm and is capable of doing rounds of 0-100 in 13.4 seconds, while the 1.5-Litre mill kicks 120PS and 145Nm and is competent of doing 0-100 in under 10.6 seconds keeping the clock at 180Km/h top speed. The 1.5 Litre claims a fuel economy of 17.2 KMPL. 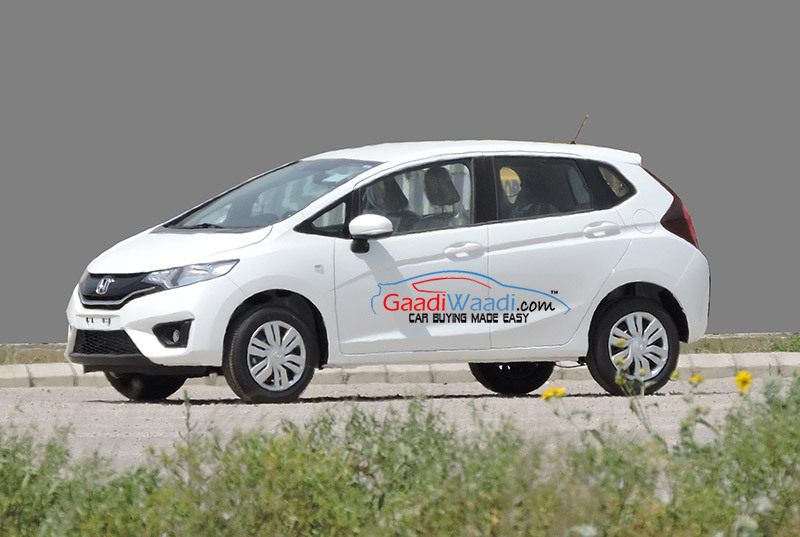 The 2015 Honda Jazz will be available in six different colours White, Red, Silver, Titanium Metallic, Crystal Black and Carnelian Red. The trim levels would be E , S , V , VX where VX would be the top of the line with much more in its offering of premium features. 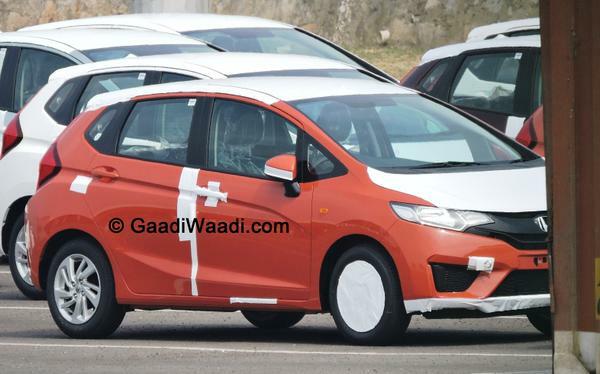 The all new 2015 Honda Jazz will be produced at the Honda’s Tapukara facility in Rajasthan where other siblings from the Japanese car maker is also produced and Jazz of course will share some of its components which is on the same platform. 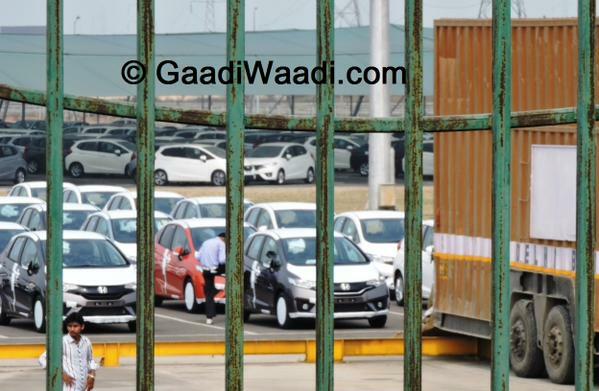 At the stock yard however, we did not spot any diesel version of the Jazz, but we speculate the diesel is just around the corner and could be soon launching in the coming months. The launch would be likely in mid-July with Honda starting to take bookings soon through its chain of showrooms across India.